Use various research strategies to create new content that could help you rank. Or, identify and then, improve what’s already working for your competitors. And I admit, although the former might seem like a lengthy process, it’s also quite rewarding (providing you make the right assumptions based on the data, of course). So what about the benefits of doing the latter? After all, competitive analysis has often been scoffed off by many as an unethical practice (although, in fact, it’s far from it, with many companies dedicating entire departments to spying on their competitors). Why? Because tearing apart your competitor’s content strategies is often the easiest way to gain incredible results fast. And without having to go through a trial and error ordeal to do so at that. And in this post, I decided to show you how to use competitive analysis to create content that will practically steal your competitors’ organic traffic. Intrigued? Then let’s get started. I bet you already have a long list of companies your organization battles with for the market share. These could be your direct competitors, offering similar products to the same target audience. But there could be actual manufacturers that sell directly of the products you sell or offline competitors. The things is, although these are the companies you constantly battle with for the audience, they might not necessarily be your direct competitors in search. Many other organizations might be trying to attract your target audience as well. These could be firms providing complimentary services or products to yours, that position their sites for similar keywords. And even be non-commercial websites (i.e. Wikipedia) that attract traffic away from you. But the key thing is - these domains receive the traffic that could be yours. Luckily, they could also provide you with the insight you need to turn the tables around. 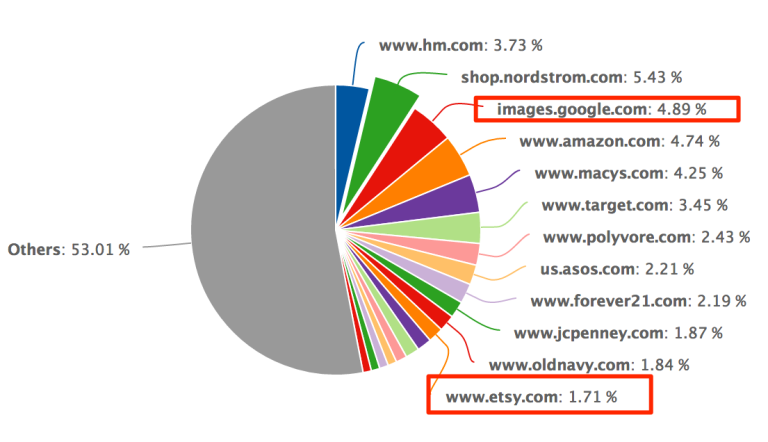 Take a look at this breakdown of online competitors for a particular set of keywords. If you were an enterprise-level store, I’m sure you wouldn’t count Google Image or Etsy or even Polyvore as your competitors, right? (You probably wouldn’t try to analyze the Google Images’ SEO. However, Etsy and Polyvore for instance, could provide some insight into new opportunities even though you wouldn't normally battle for the market share from them directly). And so, the first step in any competitive analysis is to actually discover what companies you should focus on to close the content gaps and win traffic from. Manually - Simply search your top keywords and list websites that outrank you for those phrases. 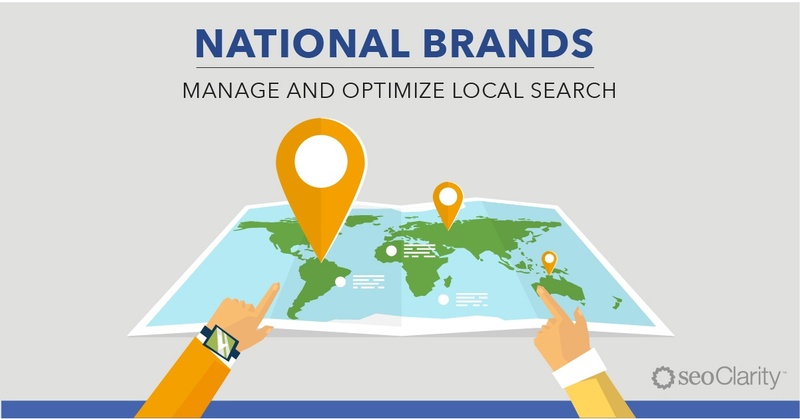 Automated - Use a technology platform that can analyze your search landscape for you. 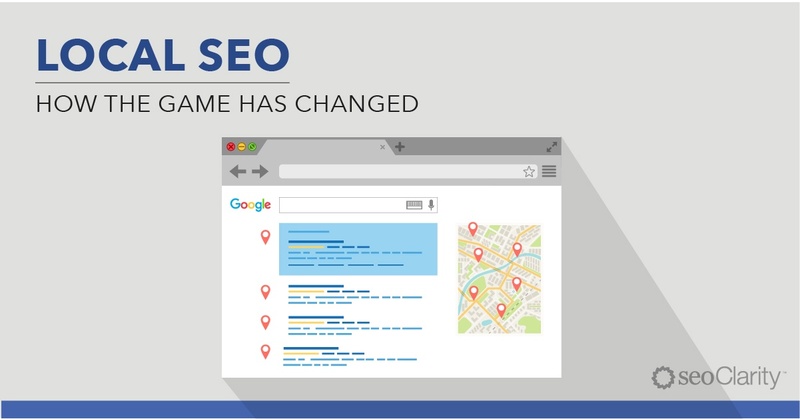 seoClarity, provides an automatic competitor detection, providing you with immediate insight into what domains compete with you for the search traffic. Once you know whom you’re battling against, start by analyzing those domains strategies. I always recommend starting with the simplest option - identifying keywords your competitors already rank for, yet you don’t. This approach is called closing the content gap. And it’s as simple as comparing two or more domains’ keyword sets to find common and individual phrases for which they rank. And although both of them share a significant number of keywords, note the size of the content gap. In total, the platform estimated the keywords potential at almost 2 million. Incredible, right? Of course, it doesn’t mean that you have to target all those keywords. But by analyzing the content gap further will help you uncover great opportunities to increase your online visibility (and potentially, steal that traffic from your competitors). Identifying keywords that drive your competitor’s traffic is just the first step. Next, you need to find out WHAT makes those pages rank so high for their phrases. And, of course, how they’ve achieved those results in the first place. For example, a quick look at this domain shows me that we both rank for the same keyword. However, my competitor outranks me quite significantly. Its structure, and keyword optimization, and many others. 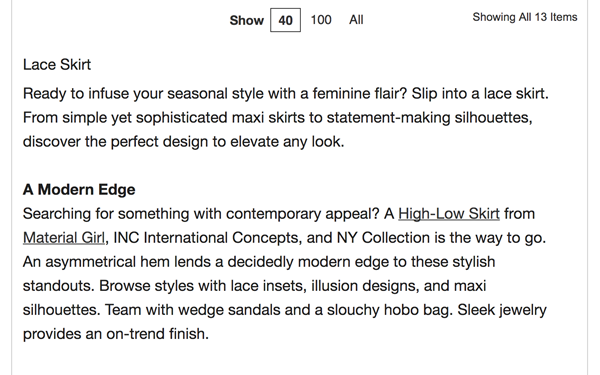 In this particular example, I found that the competitor includes lengthy category description that naturally helps boost the on page optimization. Of course, to rank a page, you need more than just engaging content. Backlinks, domain authority and other elements play an equal role. But in this exercise, we’re trying to quickly level the playing field, something that isn’t as easy to do when it comes to boosting linking domains, for example. You know this so well - content isn’t the only factor that contributes to higher rankings. Backlinks, Domain Authority and many other factors affect where a particular page ends up in SERPs. And so, once you gain the knowledge about your competitors’ best keywords and content strategies, it’s time to level the playing field. Research their best content’s backlink profiles to uncover their content promotion strategies. This approach works particularly well for non-commercial pages like blogs, articles, and any other educational content. When you analyze the backlink profile, you can assess if your competitor engages in any link building strategies to boost their pages in search. Or if they simply aim to create the best content in the hope that others will reference it in the search results. You can boost your organic traffic in many ways. For example, use data to identify new content opportunities. Or identify and then improve on the strategies that already work for your competitors. Both approaches work equally well when you tear apart your competitor’s content strategies, it is often the simplest way to gain results fast. Not to mention, without having to go through a lengthy trial and error cycle. And hopefully, after reading this post, you have an idea where to start with conducting competitive analysis for SEO.